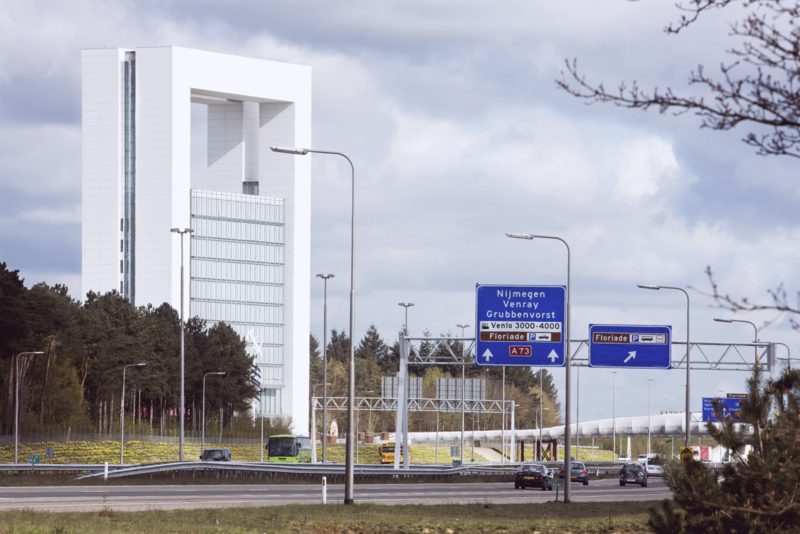 The Innovatoren (a play on the Dutch for tower and innovators) marks the point where, for centuries, there was a natural access point via the St. Jansweg to the area where the Venlo GreenPark exists. 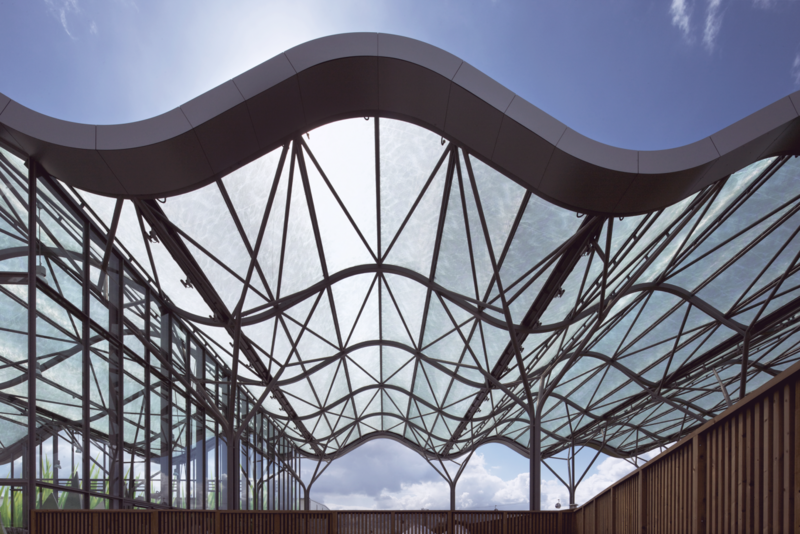 In its position, the Innovatoren provided the entrance building to the 2012 Floriade, the world’s largest horticultural expo (66ha of park area and 40 ha of exhibition terrain), which takes place every ten years. 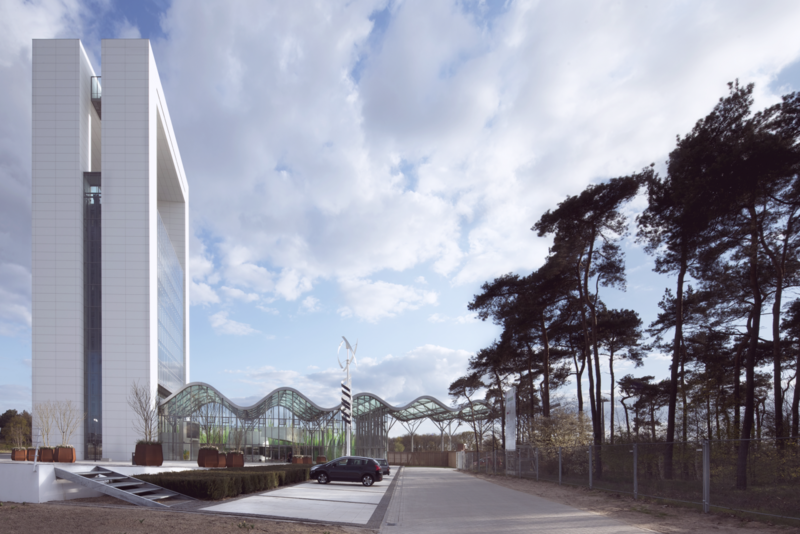 The Floriade is to be understood as a catalyst for investments into this region. 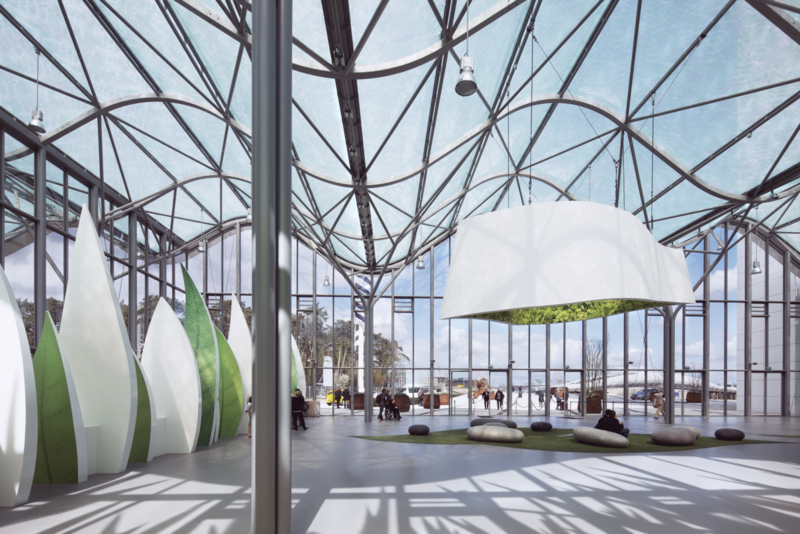 The design and realisation of the 2012 Floriade were done according to the Venlo principles, which take inspiration from the philosophy of cradle-to-cradle. 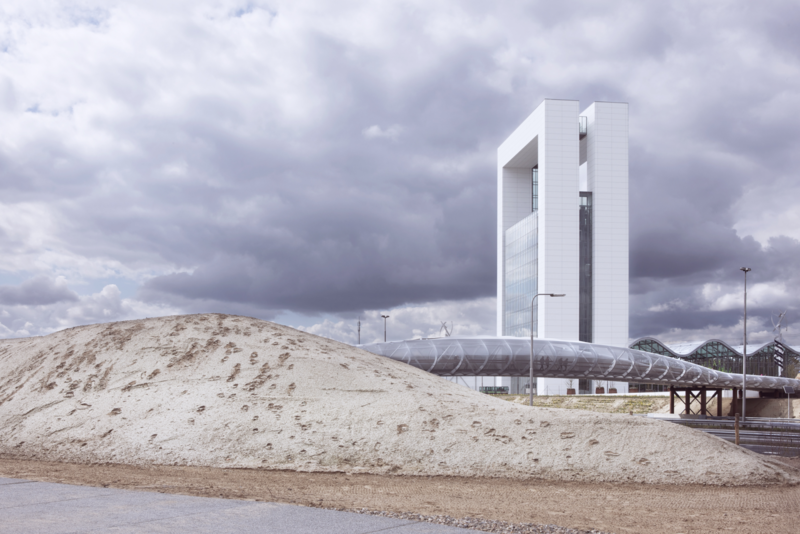 The Innovatoren – a pilot project addressing both sustainability and environmental friendliness – is recognisable from a distance by its white facade and giant arcade; the building functions as a landmark and a gateway to Venlo GreenPark. 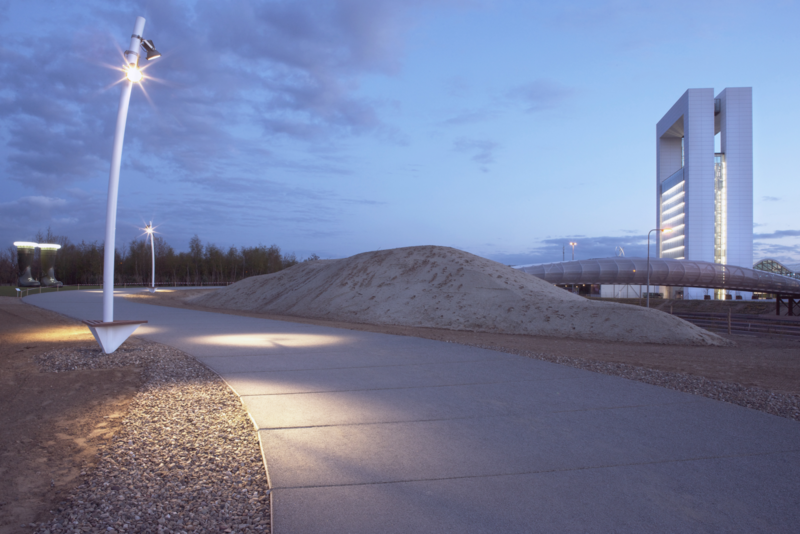 It has open-plan floors and integrates all functional and residual space in its climate concept. The north side has a waved annex, providing the ground floor with a flexible, functional, and representative space. 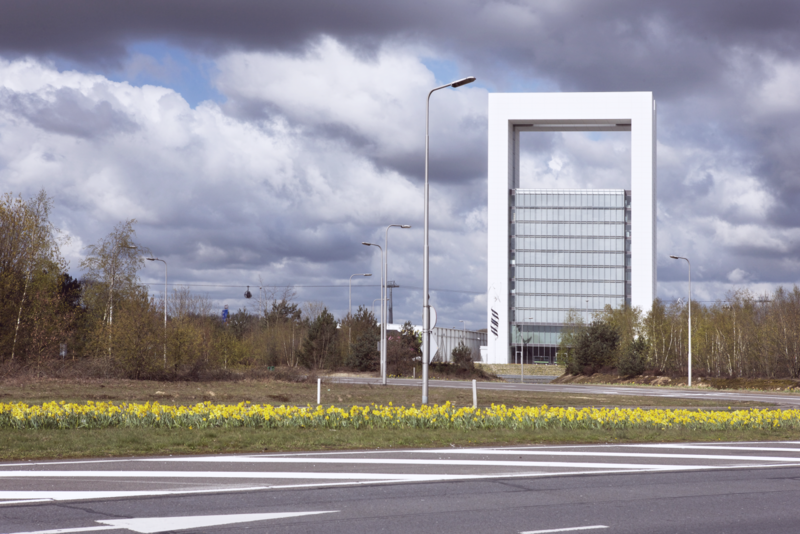 After the temporal Floriade event, the area has now been developed into a high-quality and sustainable business park: Venlo GreenPark, where work is combined with green areas and recreation.